I am still at Nationals--one more day! So if you've emailed me and I haven't replied, this is why. I'll be catching up next week. Having a great time, seeing all my friends--Carolyn Jewel, Jade Lee, Regina Scott, Bonnie Vanak, and many more. Wednesday, July 28 5:30-7:30PM "Readers for Life" Literacy autographing. Open to the Public. Dolphin Hotel at the Swan and Dolphin resort, Orlando. If you don't see me sitting as JENNIFER ASHLEY check under ALLYSON JAMES. (Authors are seated alphabetically). All proceeds from this signing go to literacy. The publishers are donating the books--keep your receipt because you can write off your purchase as a charitable donation. It's a good cause! Which equals shopping without guilt! There were be 400 or so authors there, so come and have a great time. 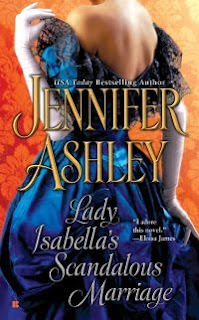 I have been told I'll have STORMWALKER and LADY ISABELLA'S SCANDALOUS MARRIAGE to sign. Again, look for me as both Jennifer Ashley and Allyson James. I don't know how many Berkley authors will be there--probably about 20-30 of us. Best of all, these books are FREE. Additional: If you have backlist of mine that you bring with you, I'm happy to sign them. Check the literacy signing for restrictions or special instructions for bringing in books you already own. If you see me wandering about, feel free to stop me and ask me to sign. I don't mind as long as I'm not rushing late to an appointment. The tall man following me about will be my dh. He's lovely and doesn't bite (much). Update: The title Shifter Lovin' wasn't loved at my publisher, so after a good night of staring at the ceiling brainstorming titles, I gave them a couple dozen others. The one they liked best? So, PRIMAL BONDS is now Shifters Unbound #2. Same book, same characters, same ISBN number, same everything, different title. The Amazon site will be updated in a few days (as soon as everything cycles through), and I already changed it on Goodreads and my own websites. 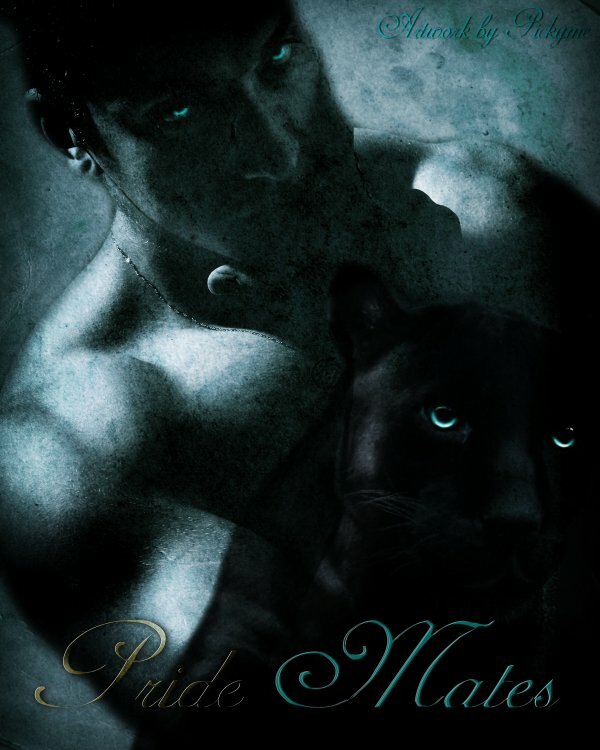 PRIMAL BONDS is Sean's story--he steps up to mate-claim a half-Fae Lupine Shifter so she can leave a bad situation and relocate to the Austin Shiftertown. Andrea Gray is fine with this, but she never expects the hot Guardian of the Morrissey clan to overwhelm her when he picks her up from the Austin bus station. Because of the mate claim she was running from, and because Andrea is so far down in her pack, Sean is expecting to meet a submissive she-wolf who can barely lift her head. Instead Andrea meets his gaze with smoke-gray eyes and rocks his world. Intrigued, Sean's protective and mate instincts are aroused, and he'll try anything he can to make this mate claim move beyond one in name only. Say hi and enter to win free books! (of mine. Some are giving away specific titles; others, winner's choice). This is a "fun" interview about Lady Isabella, and I'm offering anything from my backlist as a prize. Come and tell me what you like about bad boys! I'll update on the others when they're up. Please join me in thanking Berkley Publishing for taking up this series (as well as the Pride Mates series) when I was looking for a new home. They stepped up with a fantastic cover, made LISM a lead, and got it out as quickly as they could. Yes! They also allowed me to provide an excerpt for The Many Sins of Lord Cameron in the back of Lady Isabella, to show you a little bit where I'm going with that (although Cameron refuses to play by the rules; love an unpredictable guy).